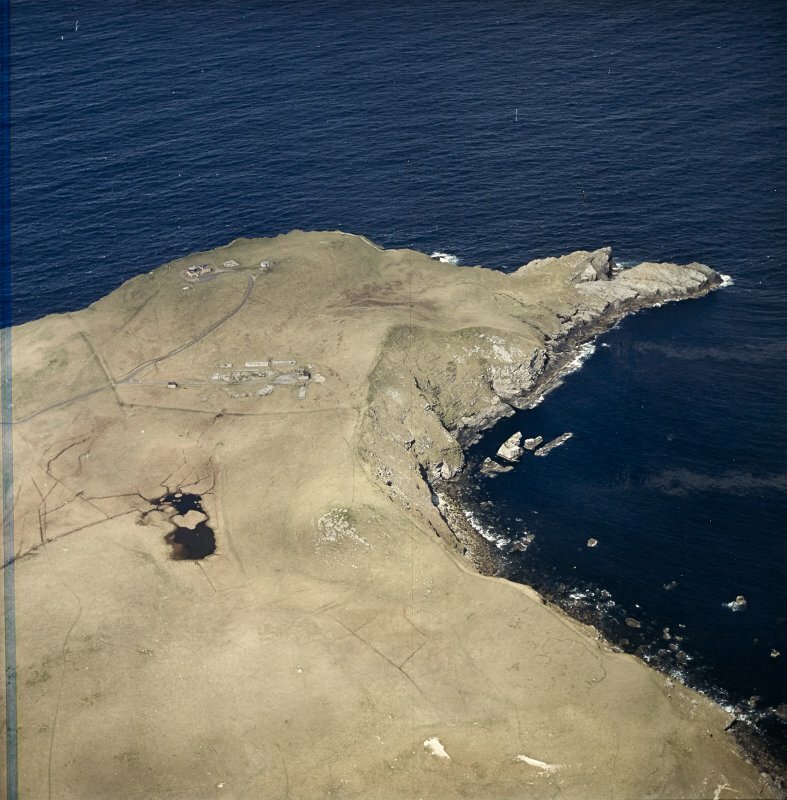 Oblique aerial view centred on the remains of the radar station, taken from the SW.
Faraid Head, water tank, view from the NE. 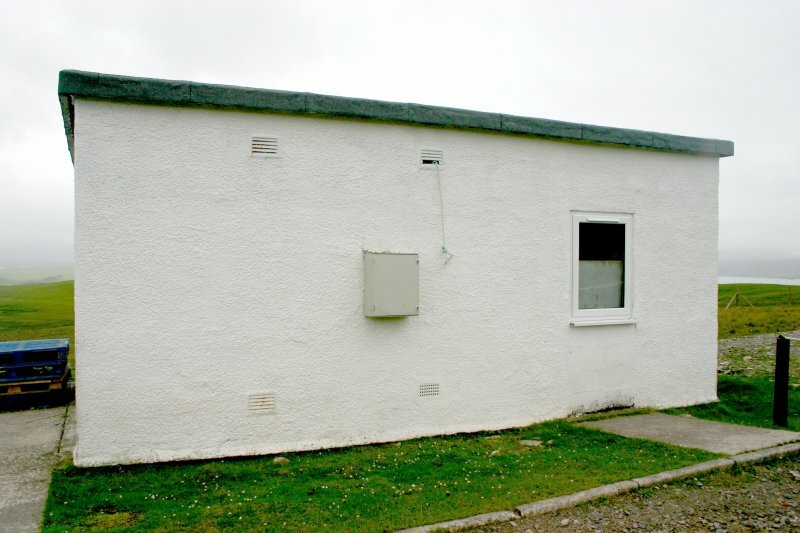 Faraid Head, store building, view from the NNW. 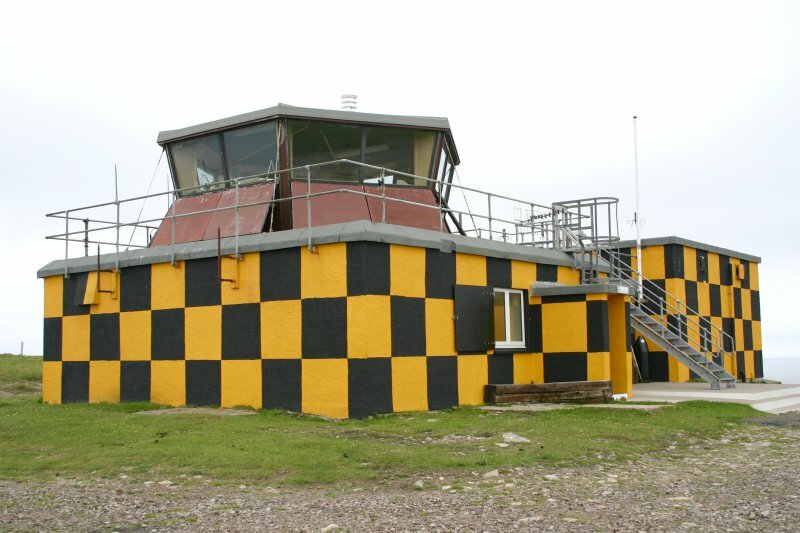 Faraid Head, range control main building, view from the south. Faraid Head, quarry, general view from SE. 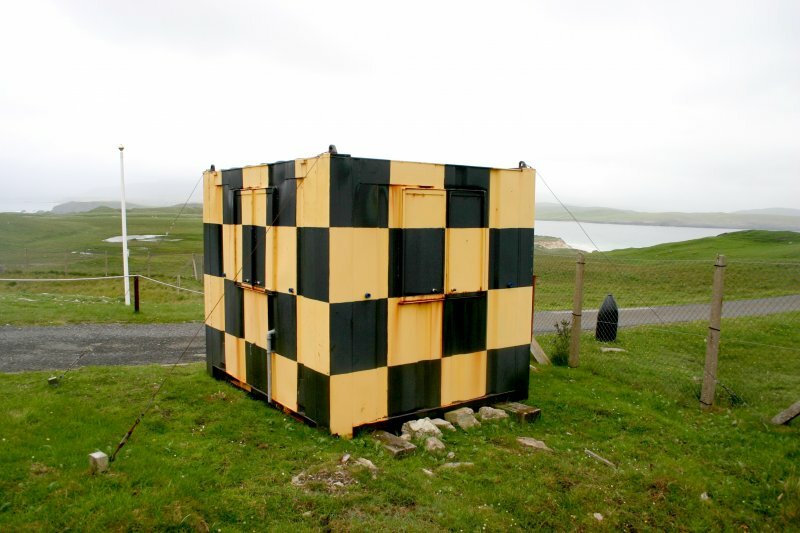 Faraid Head, generator, view from south-east. 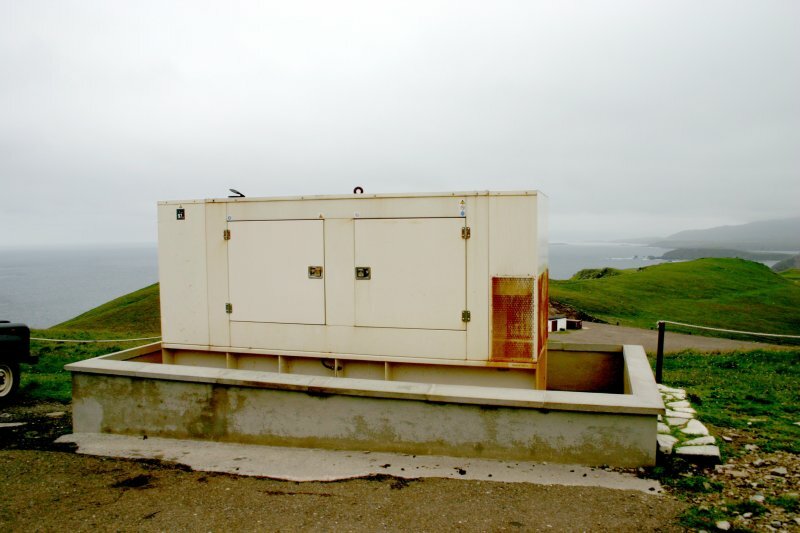 Faraid Head, generator, view from east. 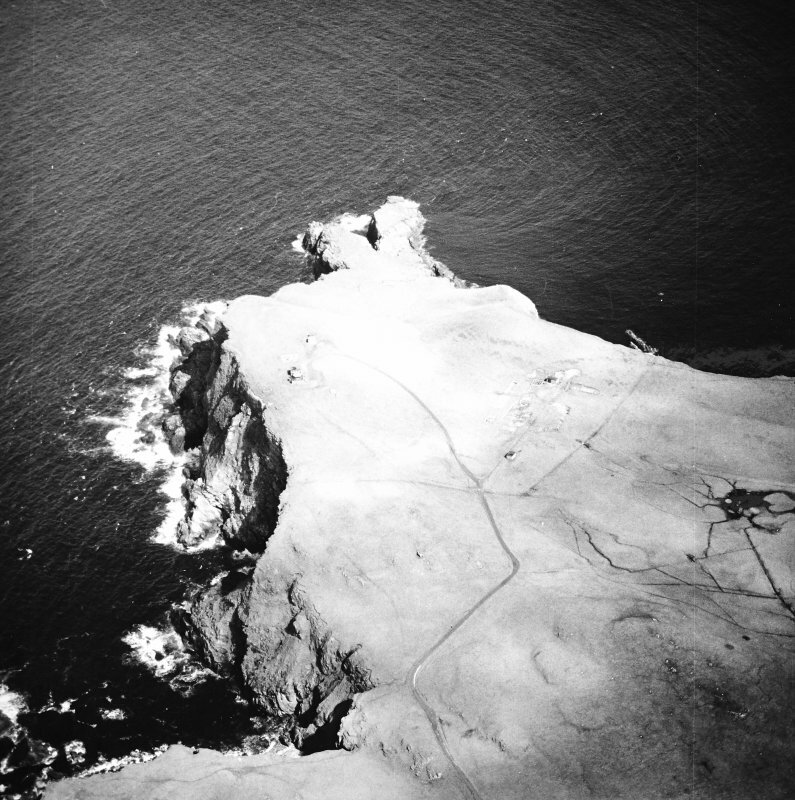 Oblique aerial view centred on the remains of the radar station, taken from the ENE. 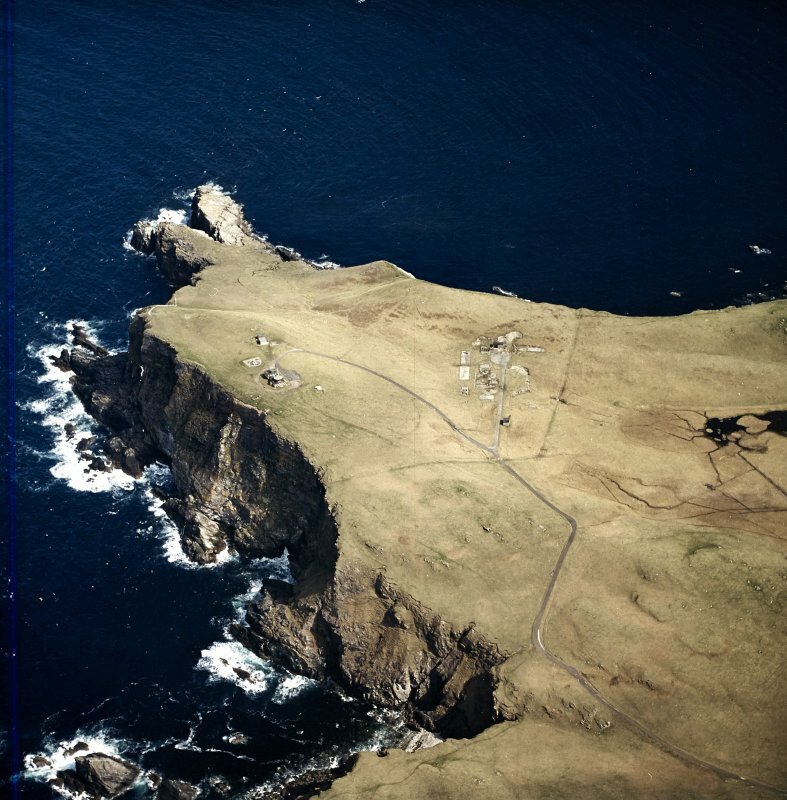 Oblique aerial view centred on the remains of the radar station, taken from the SSE. 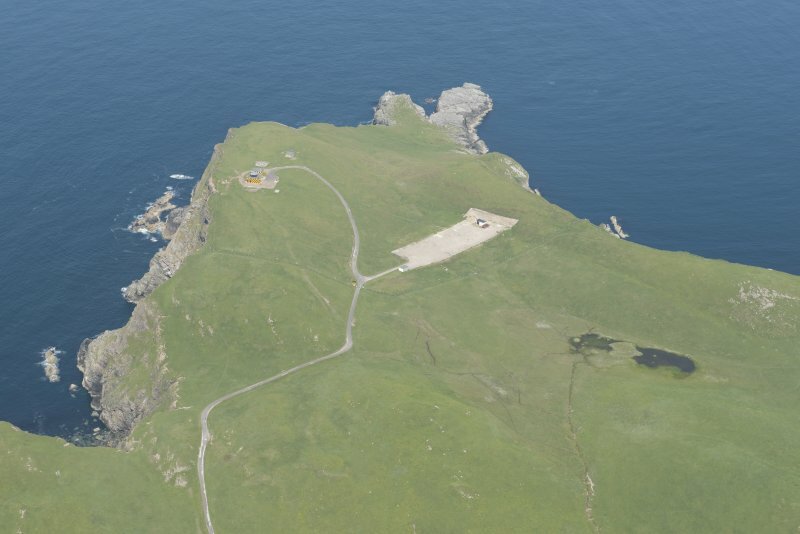 Oblique aerial view of Faraid Head Early Warning Radar Station, looking to the NE. Faraidh Head, detail of wall. 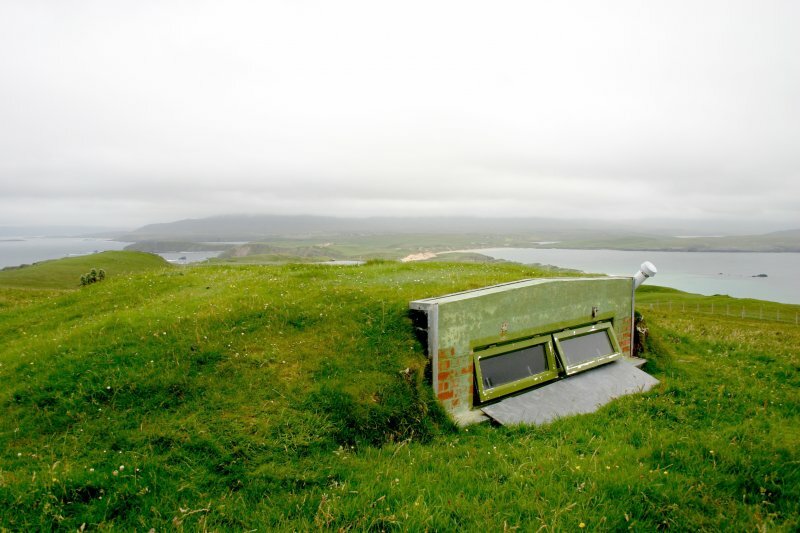 Faraid Head, sentry post, view from the east. 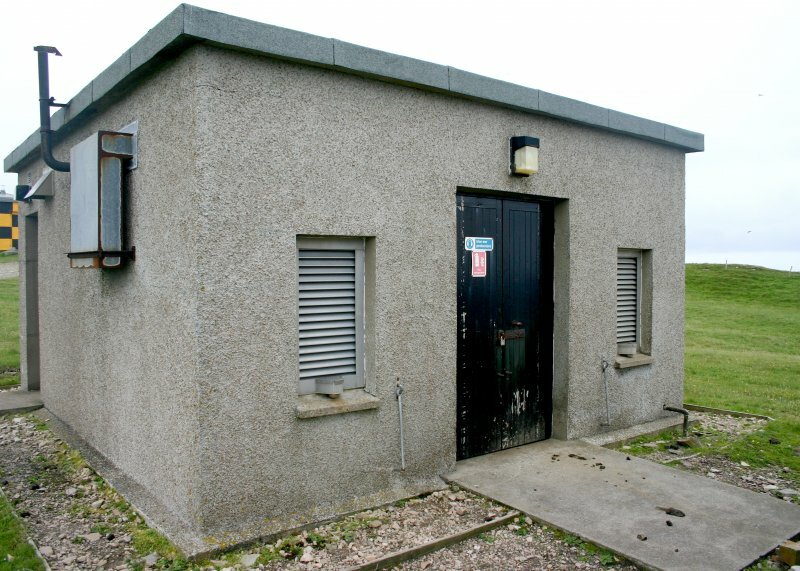 Faraid Head, generator building, view from the west. 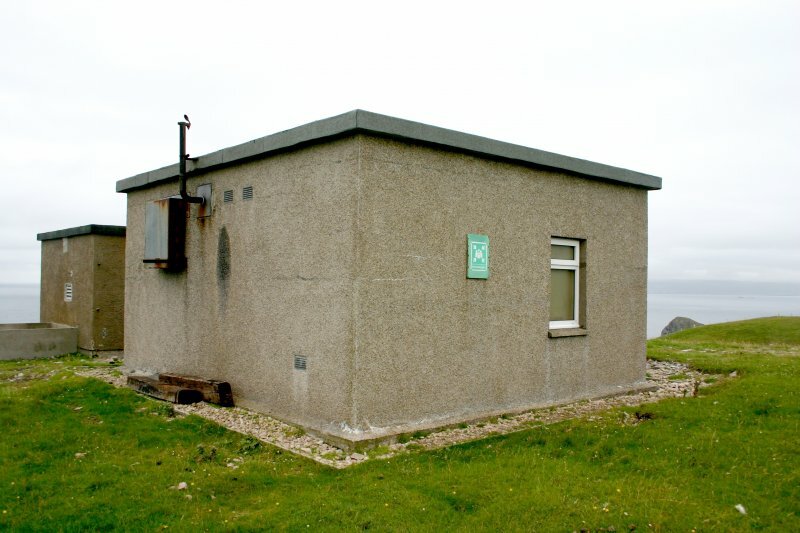 Faraid Head, generator building, view from the south-east. 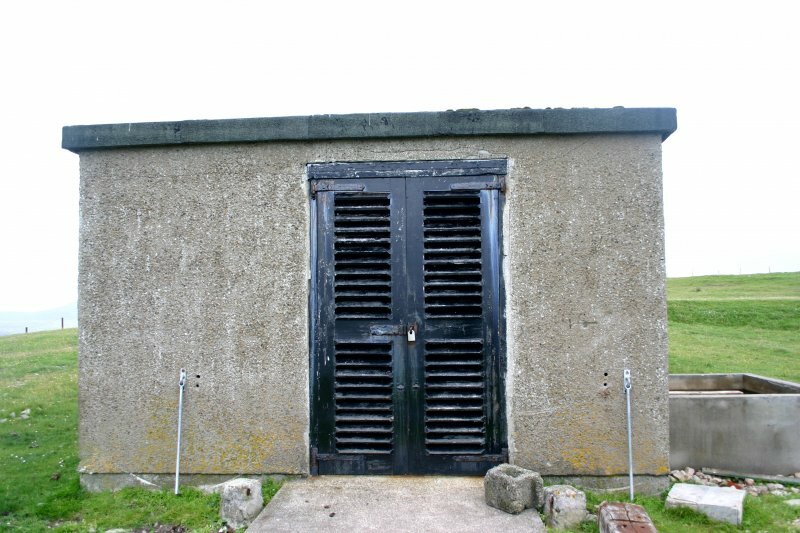 Faraid Head, generator building, view from east. 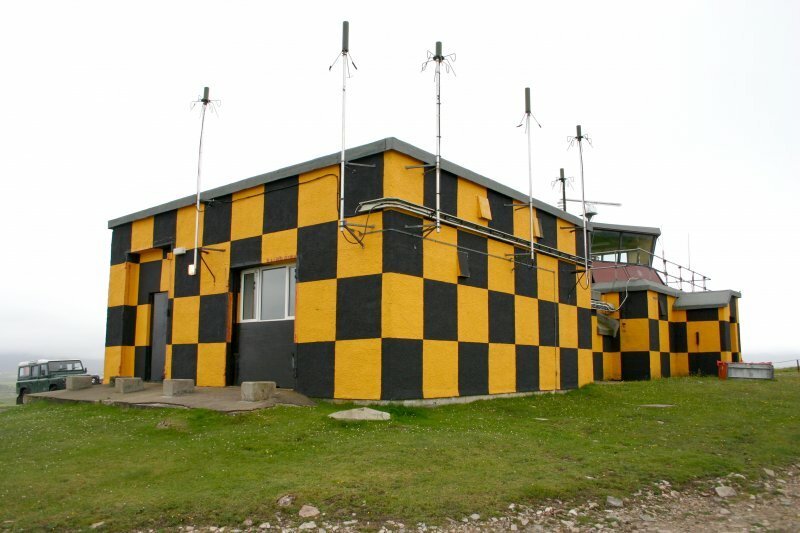 Faraid Head, range control main building, view from the south-west. Faraid Head, forward observation post, view from WSW with OS triangulation pillar immediately behind. 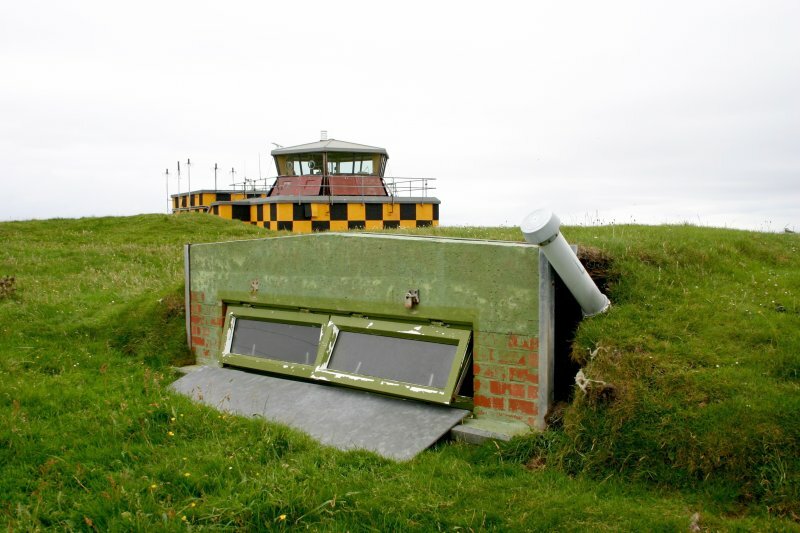 Faraid Head, forward observation post, view from NNW. 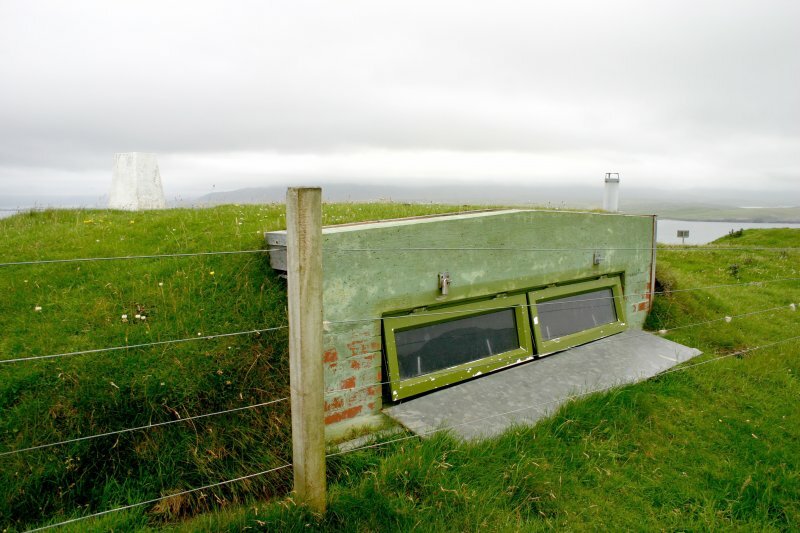 Faraid Head, forward observation post, view from the west. 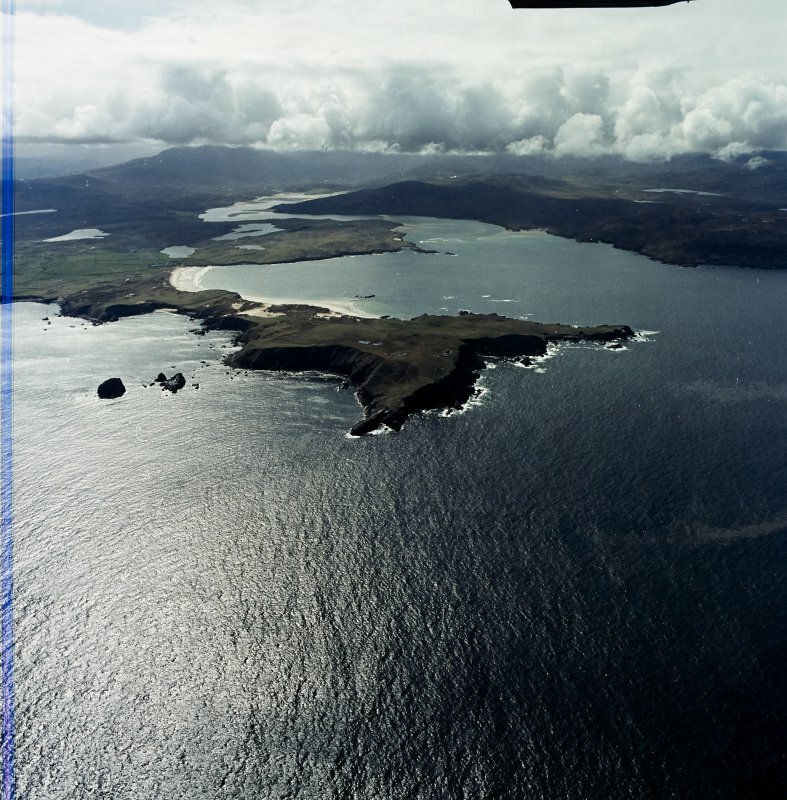 General oblique aerial view looking across the remains of the radar station towards the Kyle of Durness, taken from the NE. 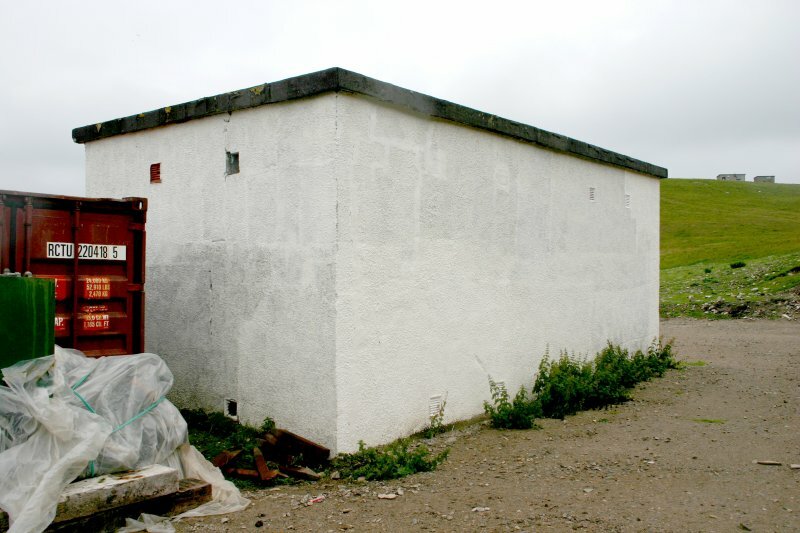 Faraid Head, store building, view from the WSW. Faraid Head, store building, view from ESE. 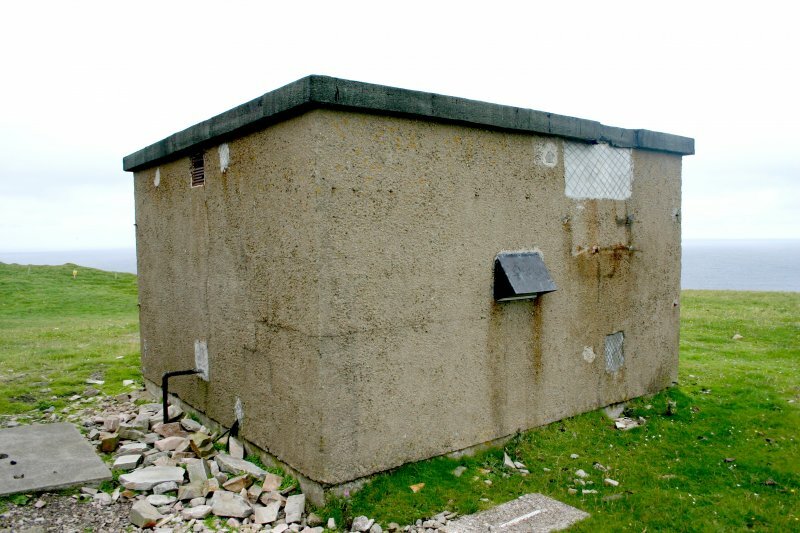 Faraid Head, forward observation post, view from the north-west. Faraidh Head, detail of field wall. 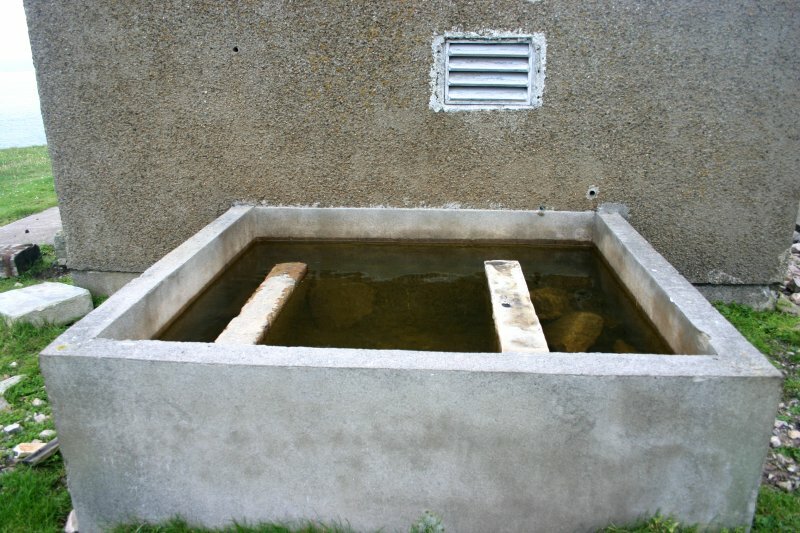 Faraid Head tank, view from SE. 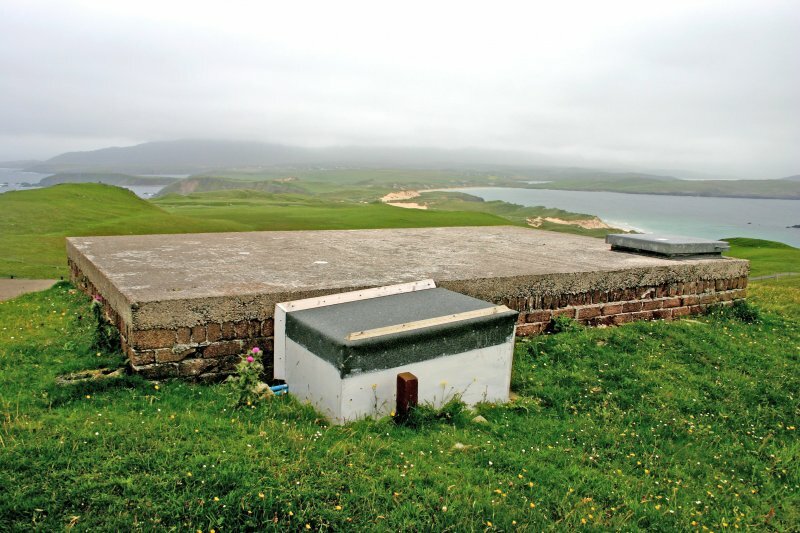 Faraid Head forward observation post (hatch), from SW.
Faraid Head, wall, view from the south-west. 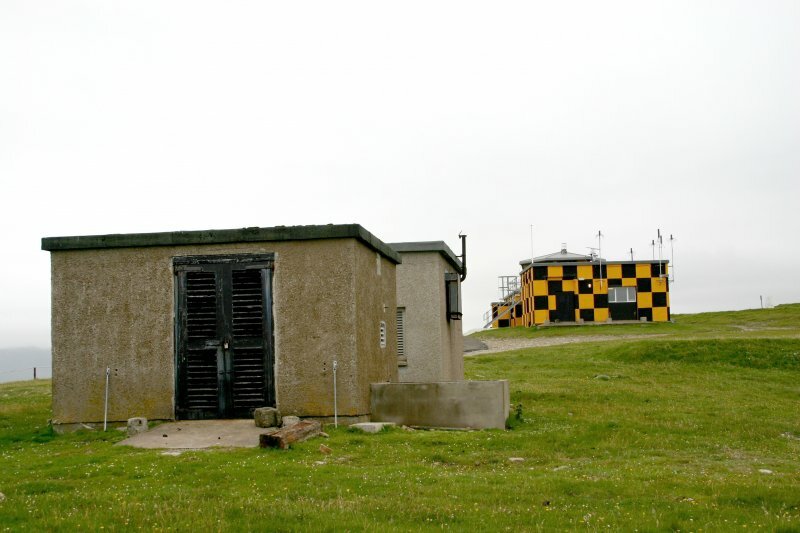 Faraid Head, range control main building, view from the NNE. 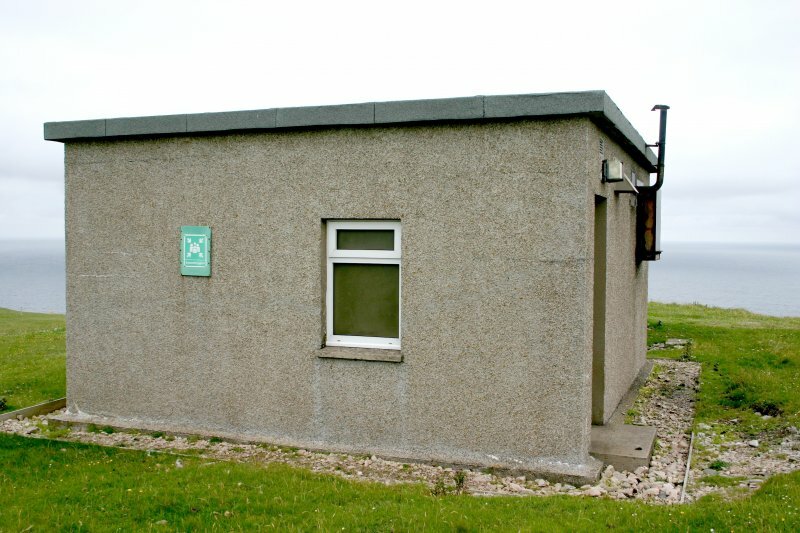 Faraid Head, range control main building, view from the north-east. Faraid Head, general view of demolition debris of building. 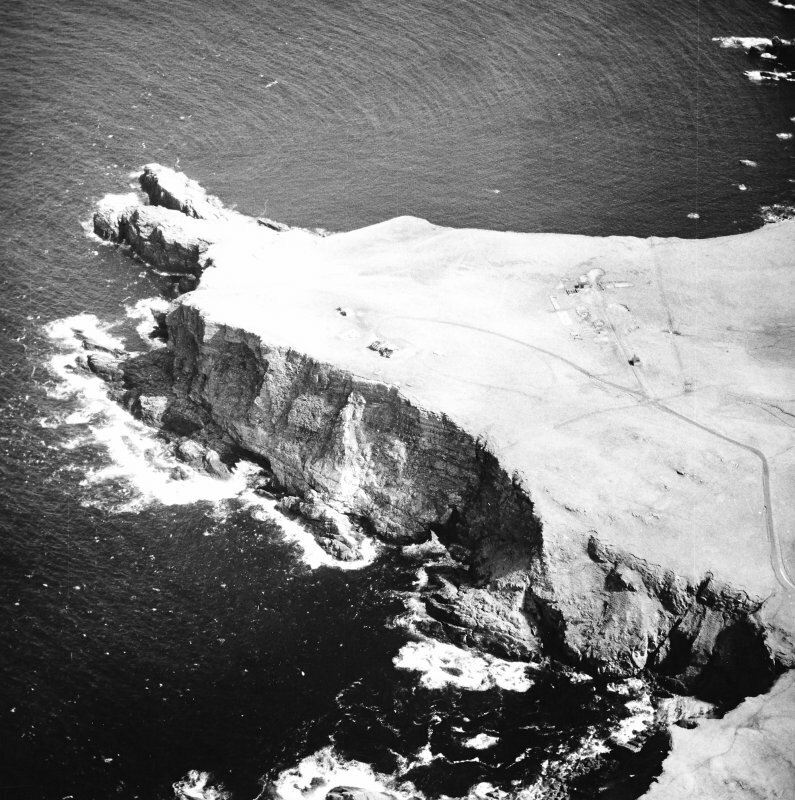 Oblique aerial view centred on the remains of the radar station, taken from the WNW. 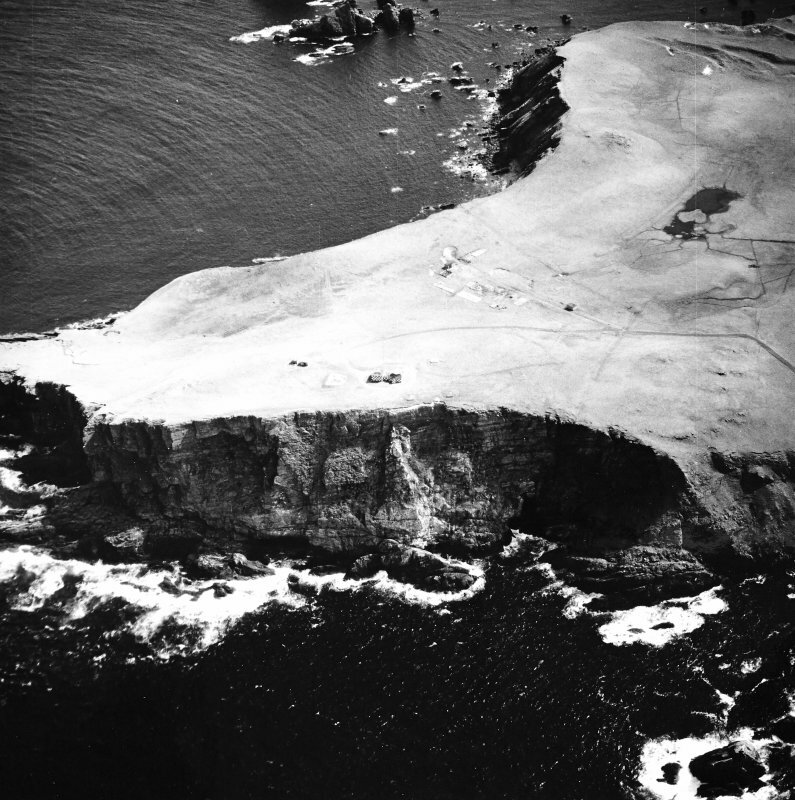 Oblique aerial view centred on the remains of the radar station, taken from the WSW. Faraid Head, water tank, view from the SW.
Faraid Head, store building, view from the SW.
Faraid Head, store building, view from the west. 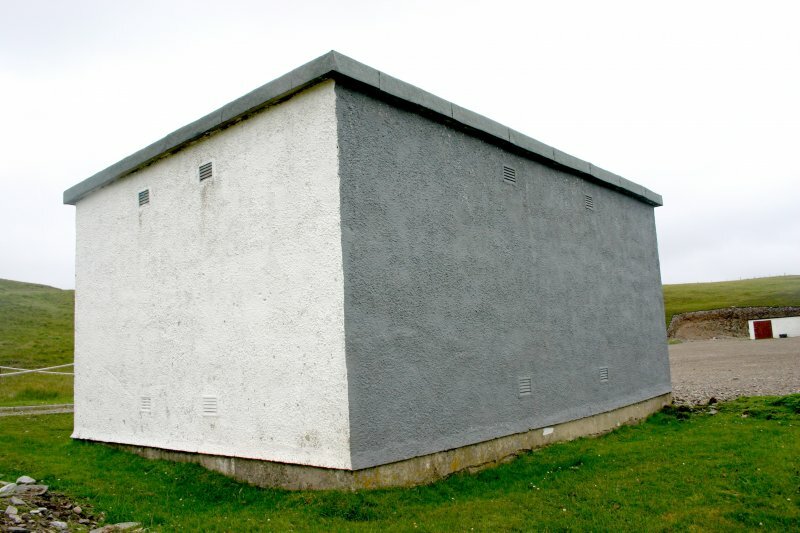 Faraid Head, store building, view from the north. 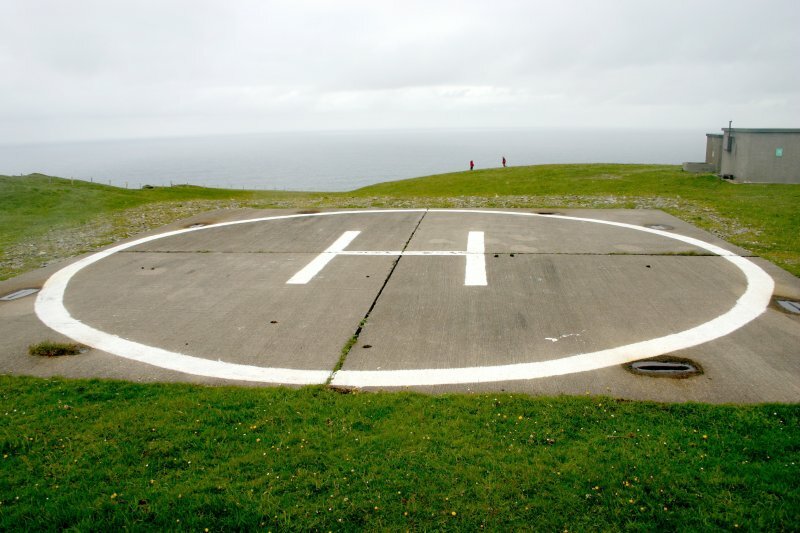 Faraid Head, helicopter pad, view from south-west. 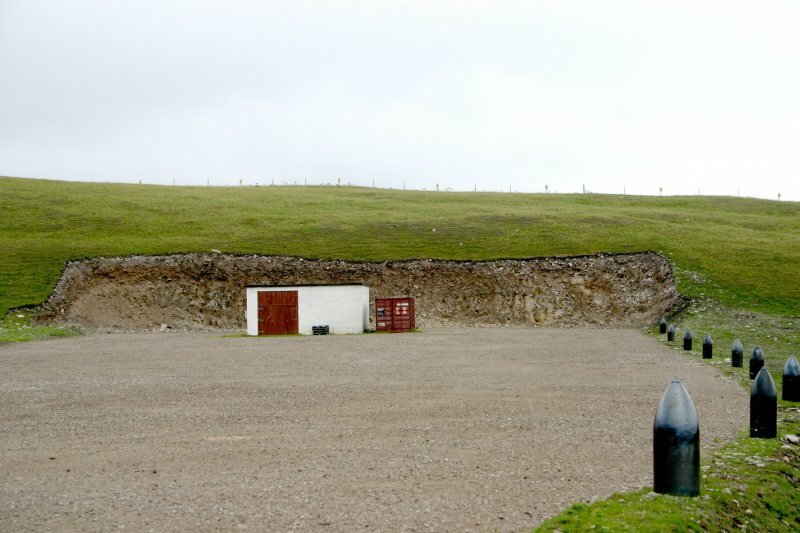 Faraid Head, fuel store, view from the north-west. 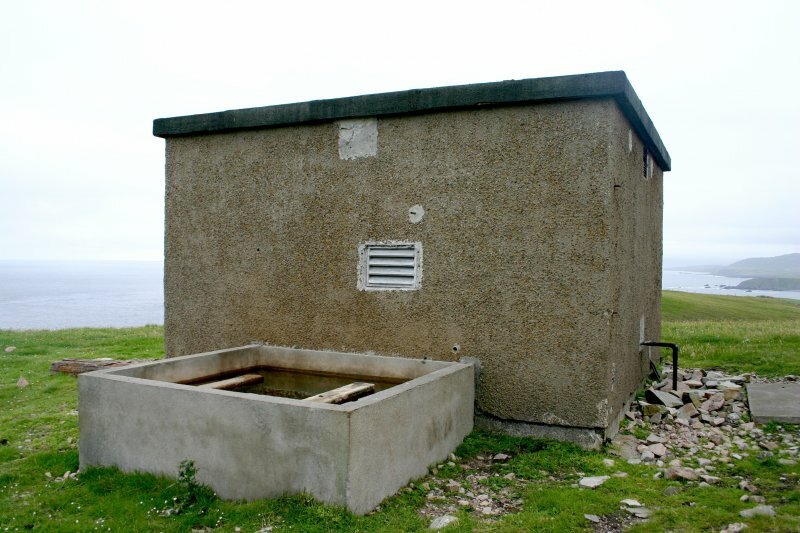 Faraid Head, water tank, view from the NNW. 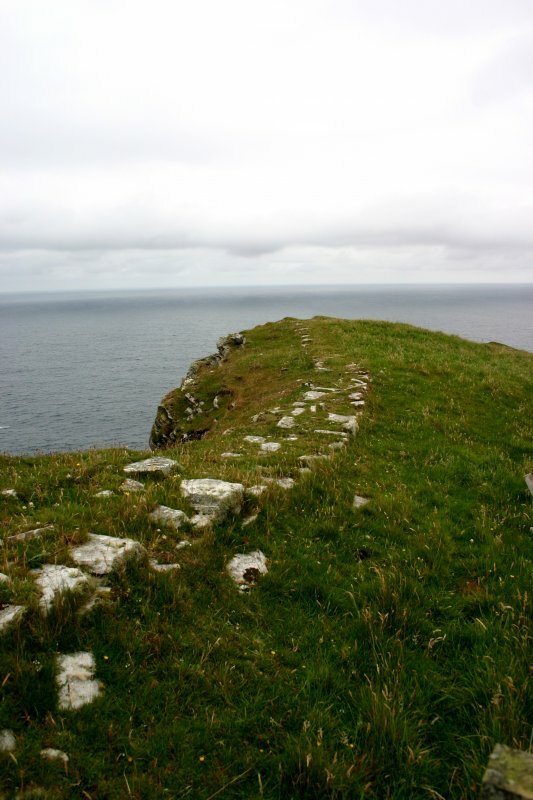 Faraid Head, sentry post, view from the south. Faraid Head, store building, view from the ENE. Faraid Head, fuel store, view from the SSE. 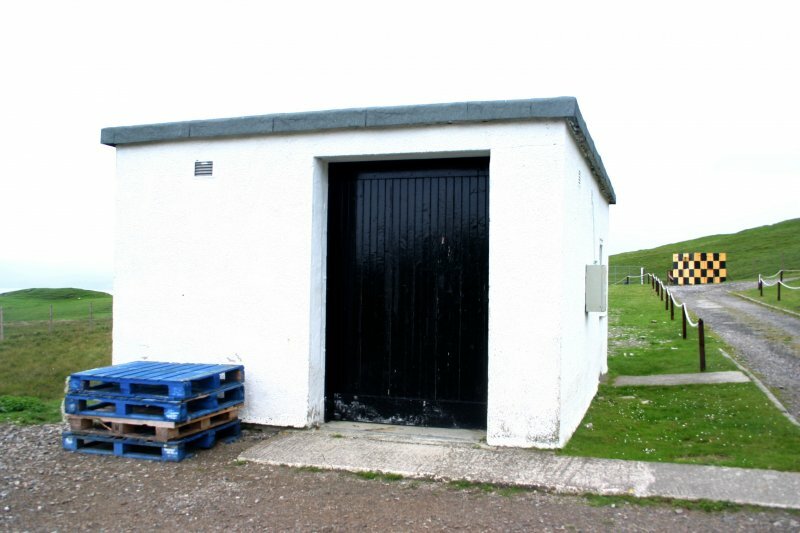 Faraid Head, fuel store, view from the east. Faraid Head, fuel store, view from NE. 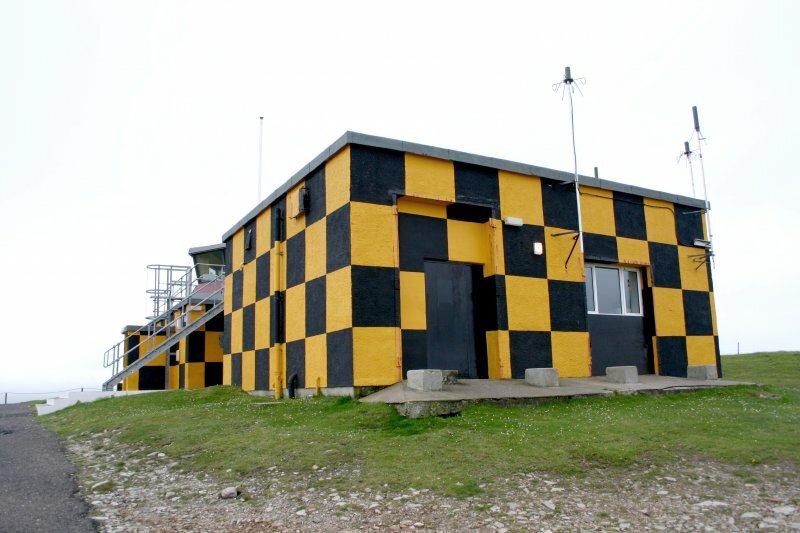 Faraid Head, range control main building, view from the north. Faraid Head tank, view from NW. 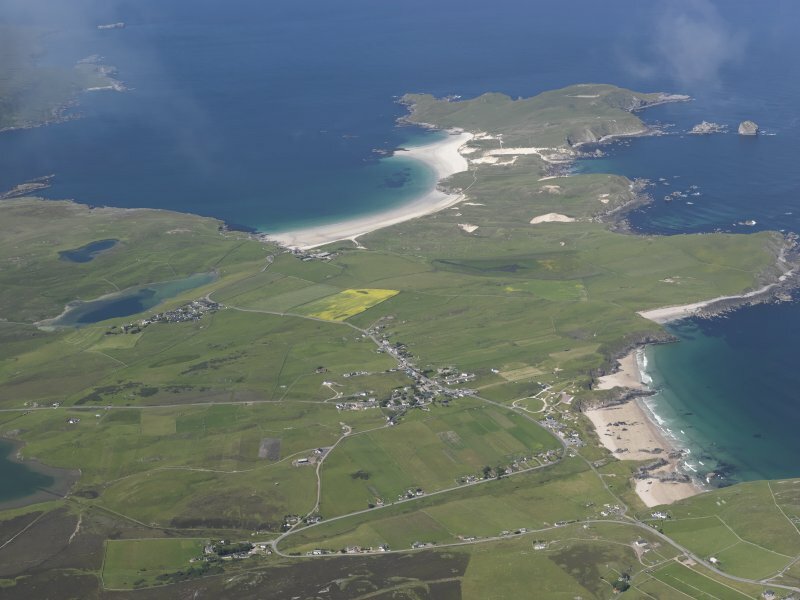 General oblique aerial view looking across Durness and Balnakeil towards An Fharaid, taken from the SSE. 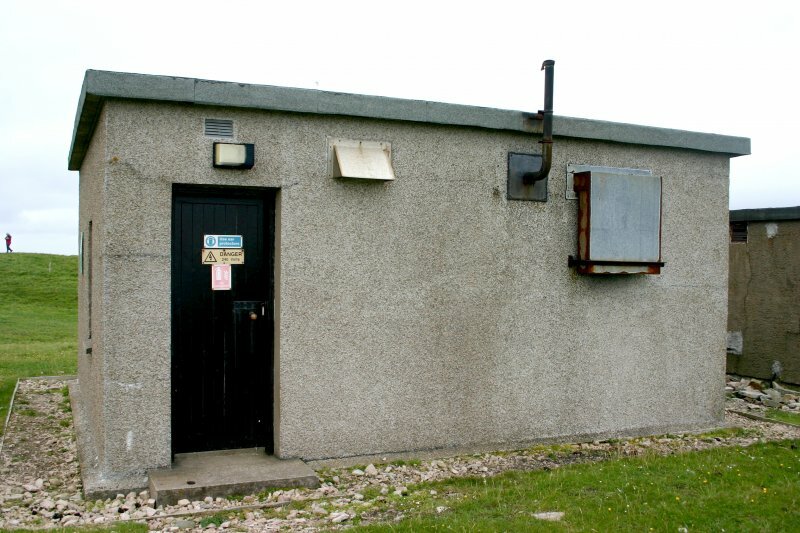 Faraid Head, fuel store, view from the north-east. 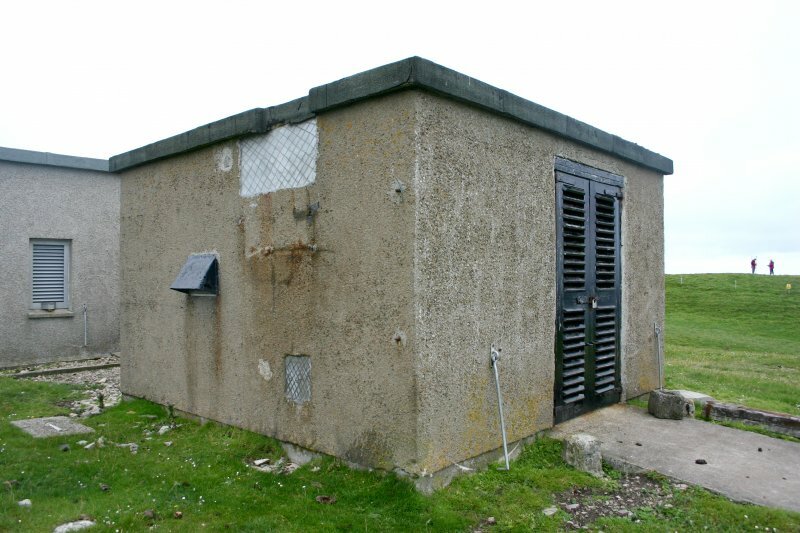 Faraid Head, generator building, view from the south-west. 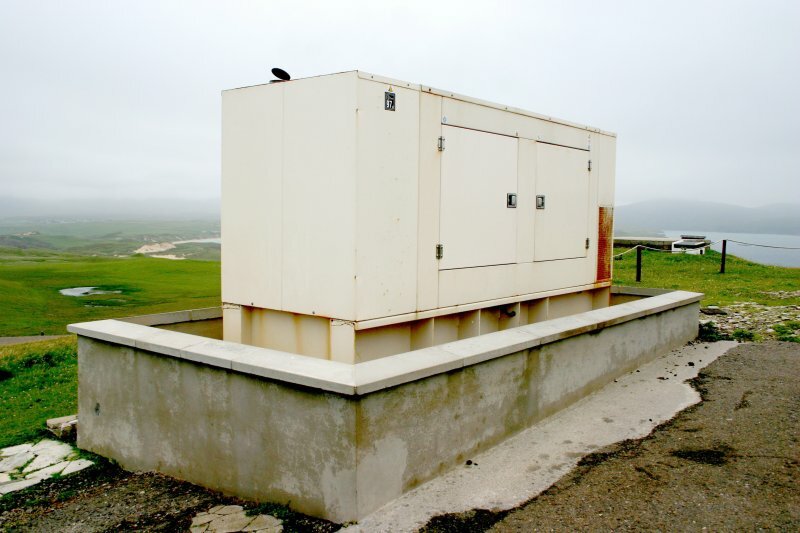 Faraid Head, range control main building, view from E.
Faraid Head, generator, view from south. 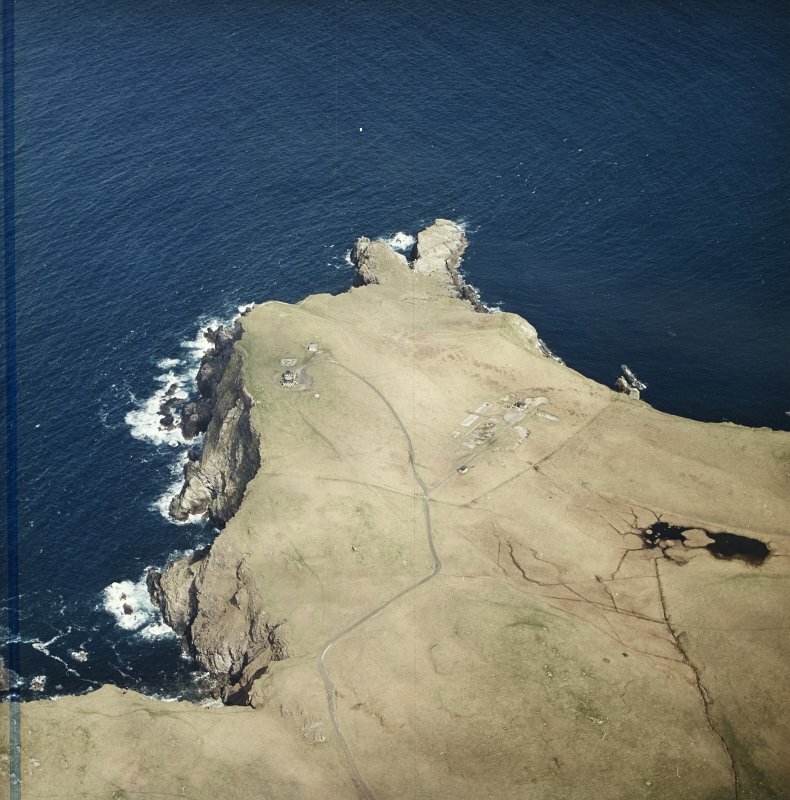 Oblique aerial view centred on the remains of the radar station, taken from the W.
Faraid Head, sentry post, view from the north. 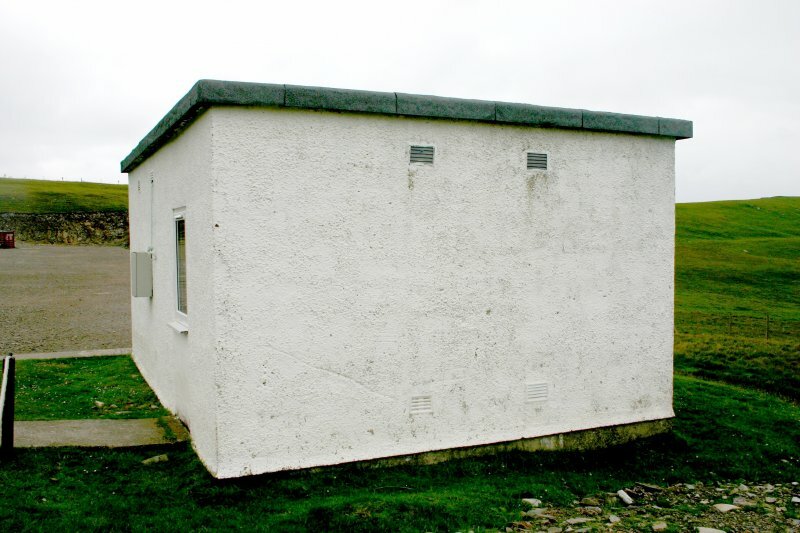 Faraid Head, store building, view from the south-east. Faraid Head, quarry, general view from NE. 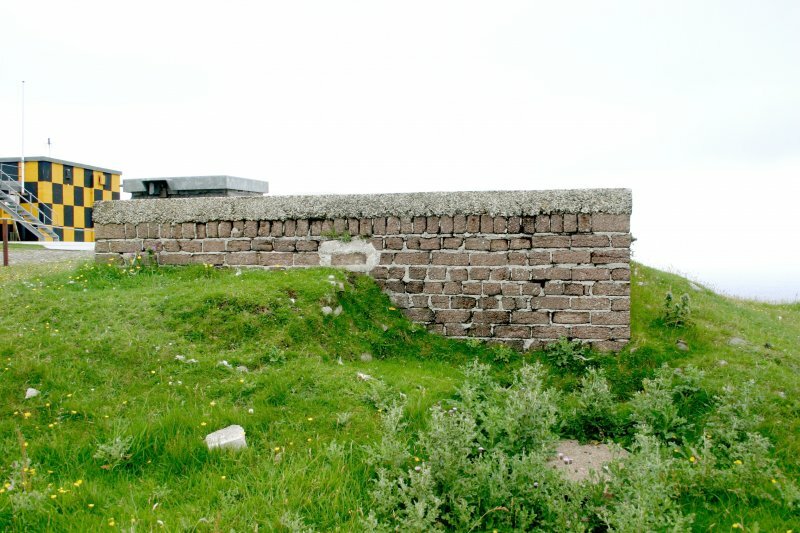 Faraid Head, forward observation post, view from the north. 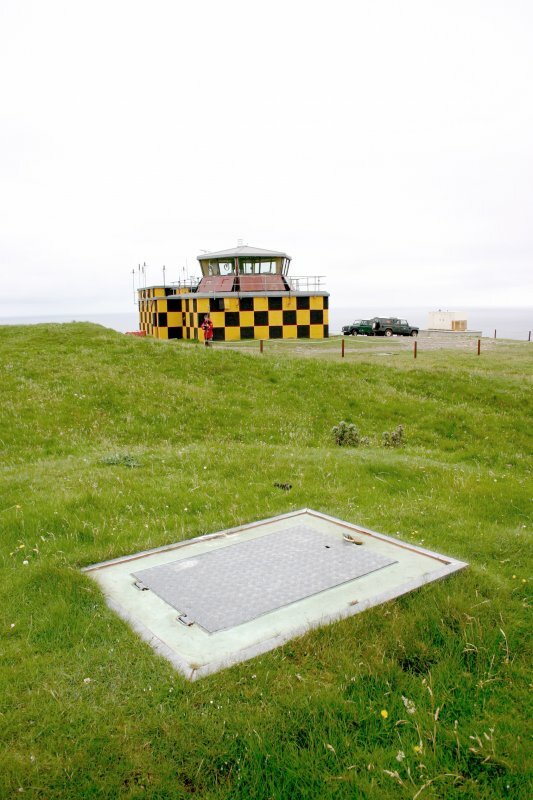 Loran Radar station visible on vertical air photographs (V 540/RAF/1631, 0075-077, flown 1 June 1955) at Faraid Head. Several buildings shown on current OS digital 1:2500 scale map. 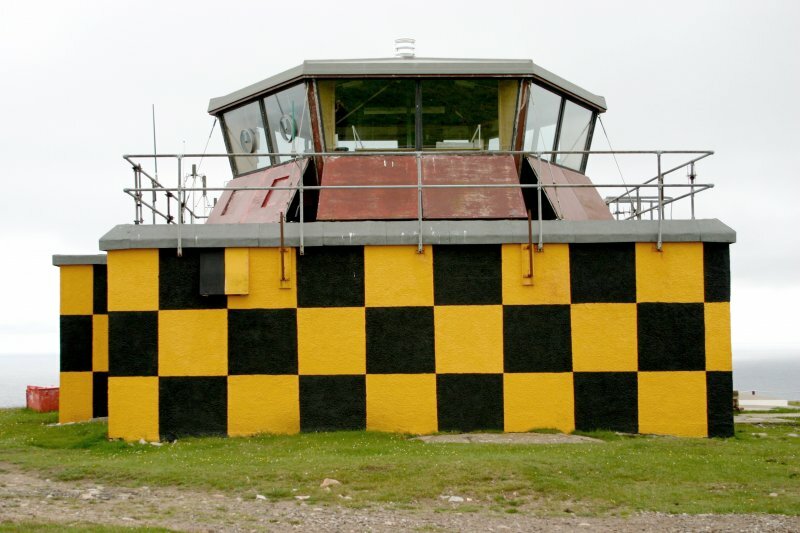 Information supplied by Mr Ian Brown (Radar Archive) confirms this installation as a ROTOR Radar Station. Built as part of the ROTOR Plan. The station is of postwar date. Information to RCAHMS via e-mail from Mr I Brown, 13 December 2008. 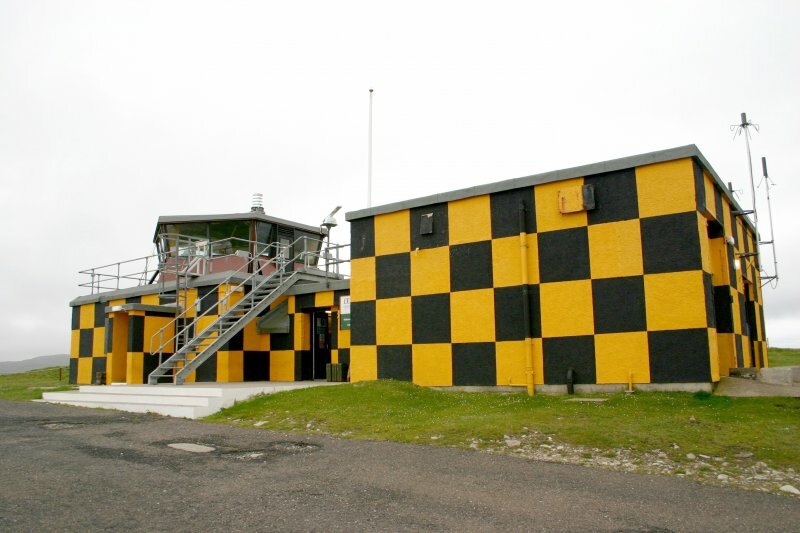 The Cape Wrath Training Centre (CWYC) range control facility on Faraid Head currently comprises a fenced compound, some 9ha (c.22 acres) in size, which contains a number of buildings, a helicopter landing pad and a large area of hard standing. 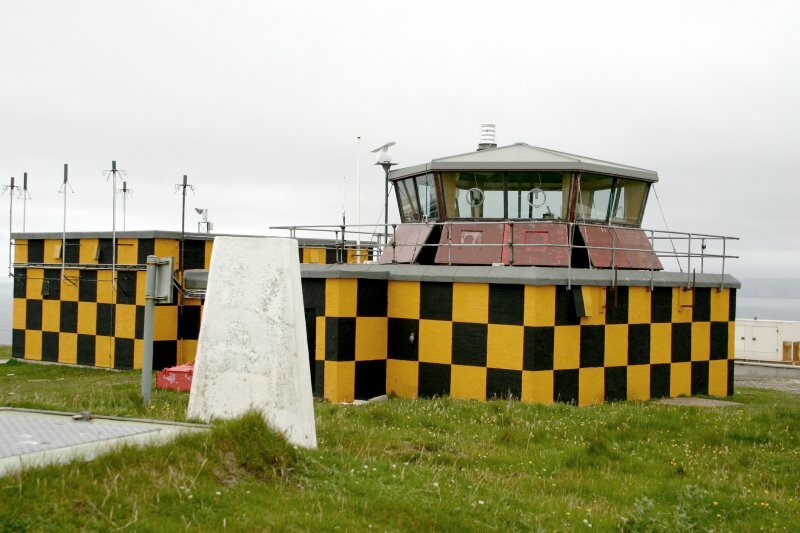 The principal building (CWTC08 282) is the range control tower, which stands on the highest part of the peninsula and is a converted Type 80 modulator building originally built as part of the CEW R10 ROTOR radar station established here in the mid 1950s. 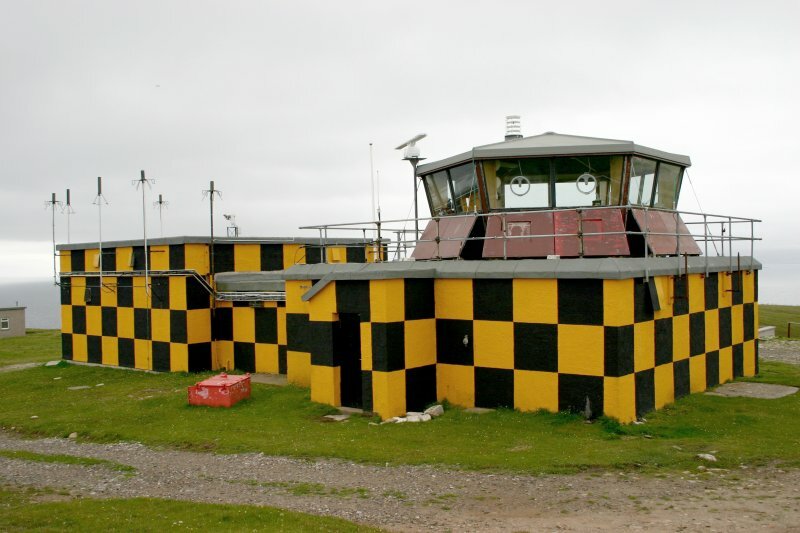 The gantry that once supported the radar assembly above the south-west end of the building has been completely removed, and the squat hexagonal observation tower that we see today is a later addition. 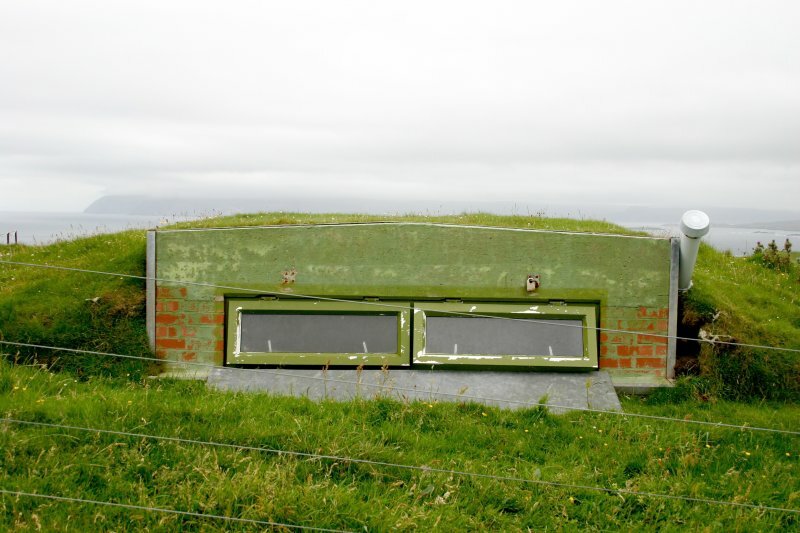 All of the original fittings have been removed from the interior, which has been refurbished to provide offices and accommodation for range control staff. 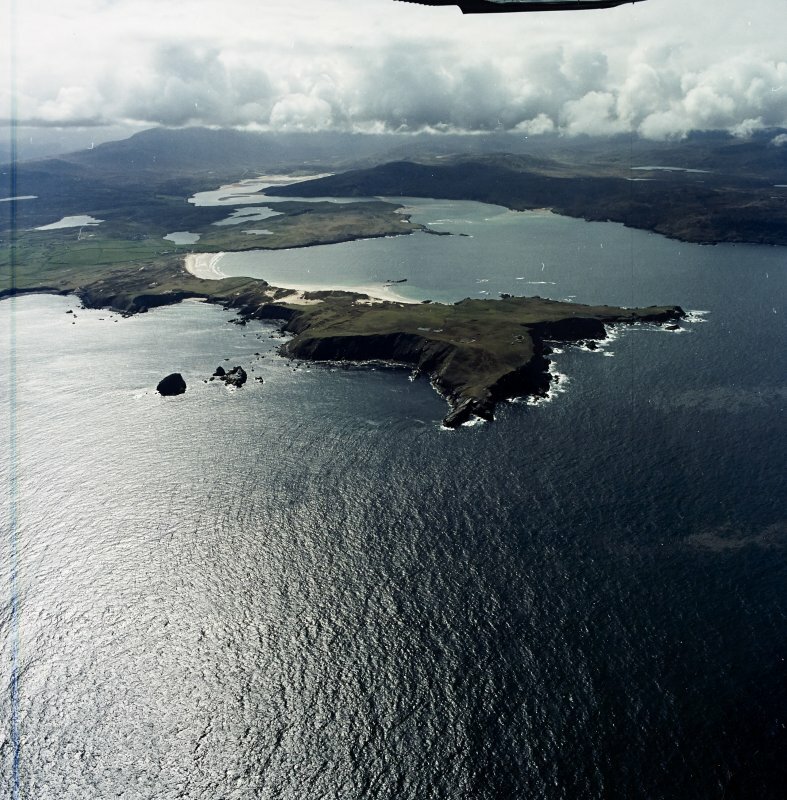 In addition to the modulator building, the original ROTOR complex included several other buildings, the locations of which are captured on vertical aerial photographs taken by the RAF in June 1955 (V 540/RAF/1631, 0075–6). 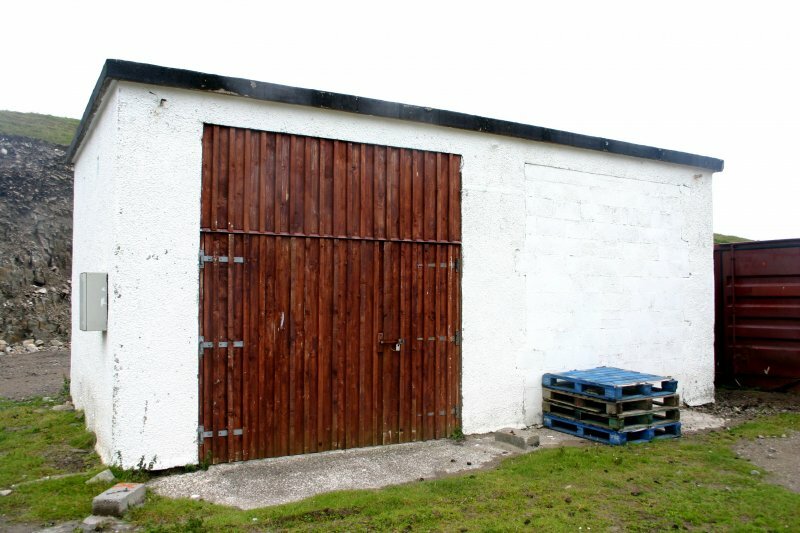 One of these buildings (CWATA08 285), now containing a fuel storage tank, stands 60m north-east of the modulator building. 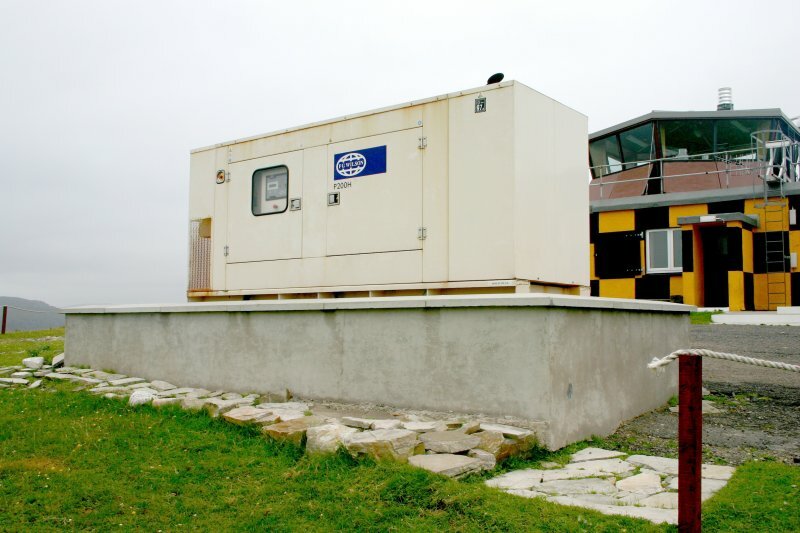 A larger building beside it (CWTC08 284), presently housing a generator, is of more recent construction. 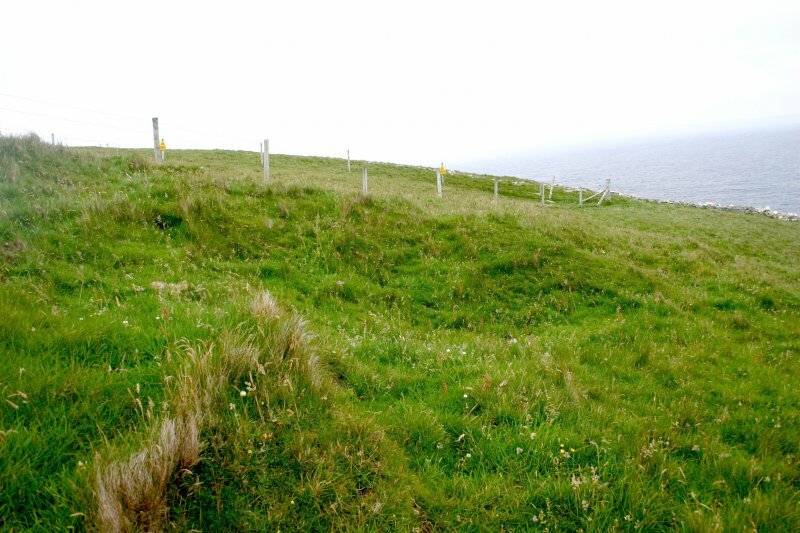 An original building (CWTC08 004), which stood at the north end of the compound, has been reduced to little more than a thin spread of rubble, while the site of another on the east side (CWTC08 06) is indicated now by nothing more than a grass-grown platform cut into the slope. 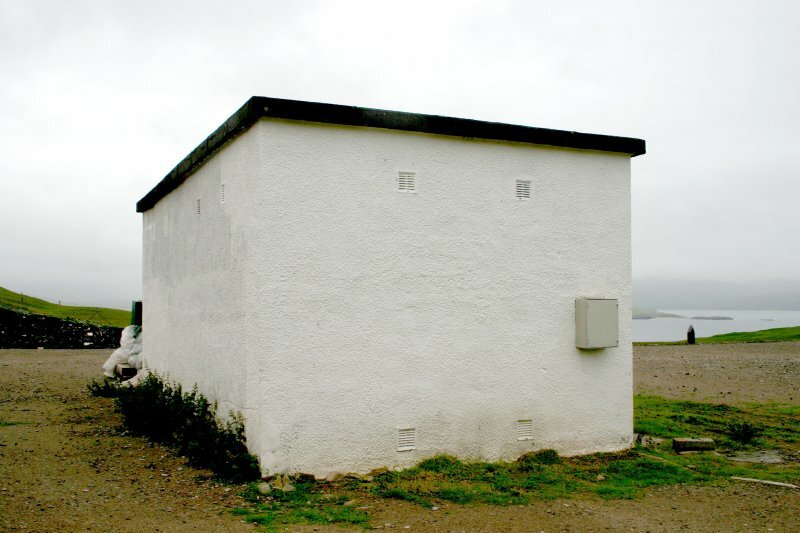 Immediately to the SSW of the modulator building is another building (CWTC08 293) that has also been reduced to little more than a platform, while next to the modulator building is a brick-built water tank with a hatch in its concrete roof (CWTC08 295). 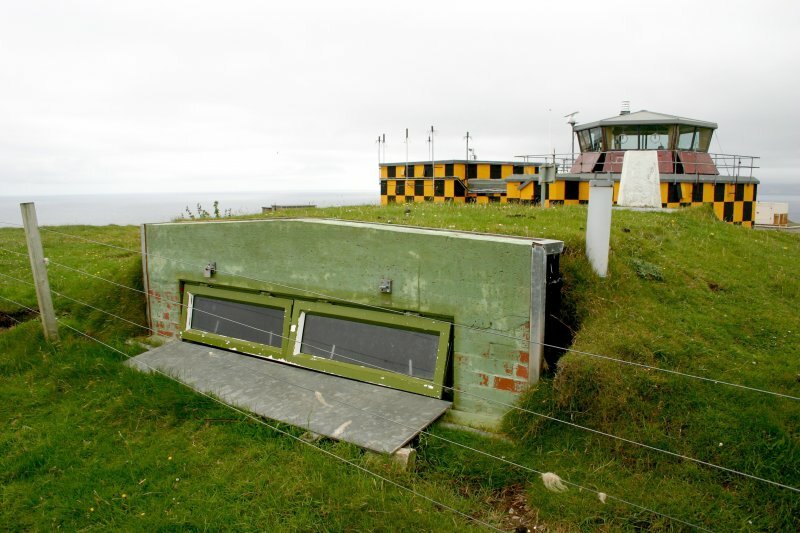 Two observation buildings (CWTC08 280-1), which have been set into the cliff-top immediately W of the main building, probably date to when the facility became the control centre for the Navy bombing range. The largest building in the original complex, the R10 Operations Block, stood in the large natural hollow below and about 120m south-east of the modulator building. 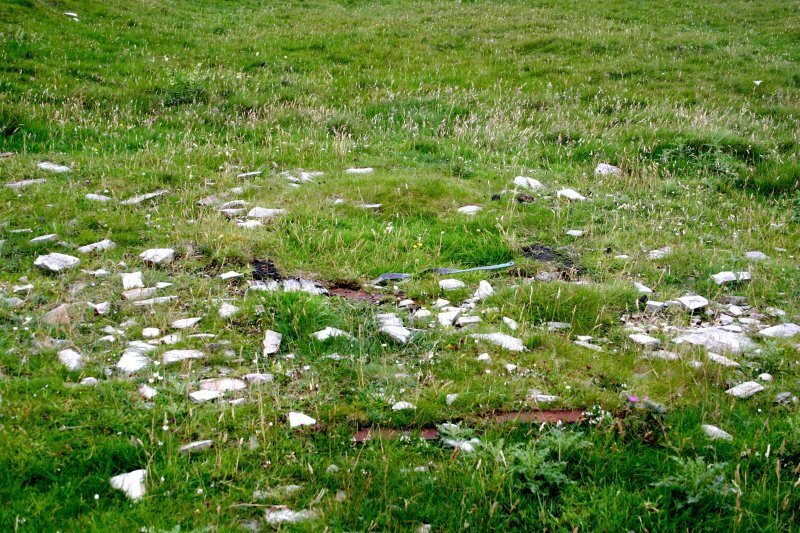 Remains of this structure and several others close-by survived (at least as footings or concrete floors) until as recently as 2004, when they were photographed from the air by RCAHMS (E40881–6; E43577–9). 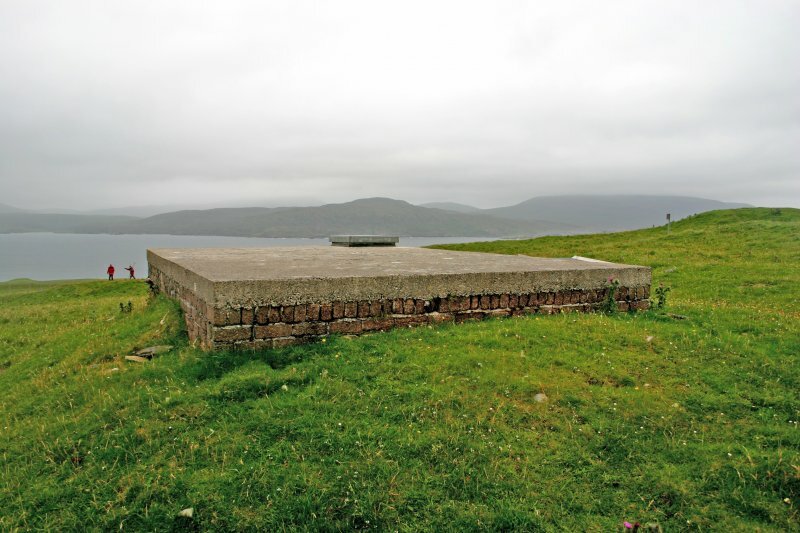 Since then, however, most have been bull-dozed to form the hard standing that provides a solid footing for artillery pieces firing across the kyle onto a target area (NC37SW 29) on the east flank of Sgribhis-bheinn. Two of the buildings, both now in use as stores, survive intact, one (CWTC08 286) at the east end of the hard standing, the other (CWTC08 287) at the SW corner. 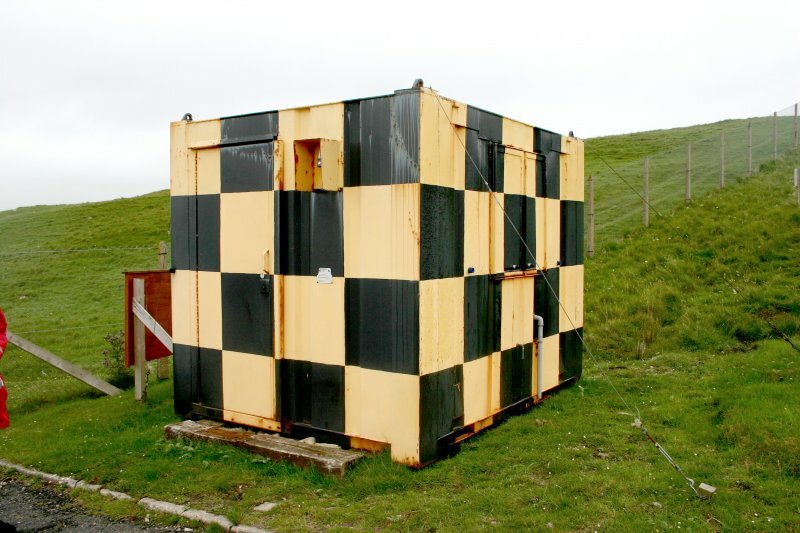 The sentry post (CWTC08 288) at the gate in the SW corner of the compound is a steel container that has been placed there since 2004. 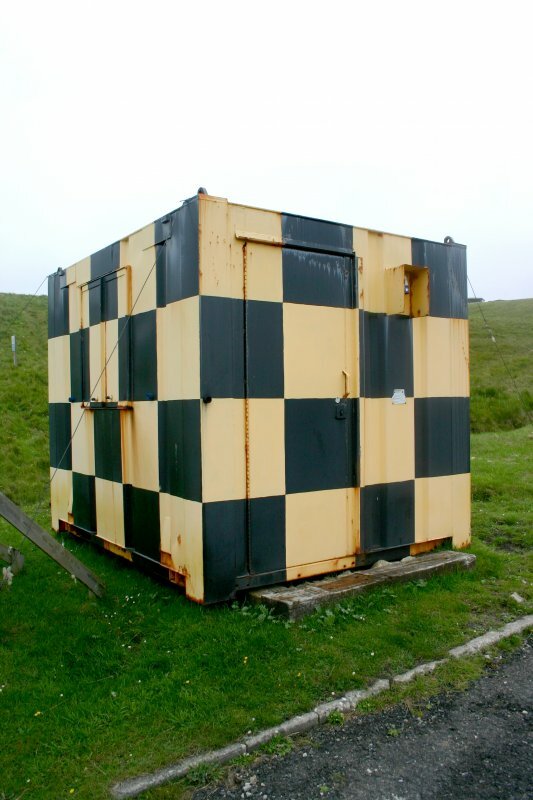 However, it stands on the site of the original sentry post. Examination of the 1955 aerial photographs makes it clear that all of the buildings were linked by a network of tracks and cable trenches, then recently dug. 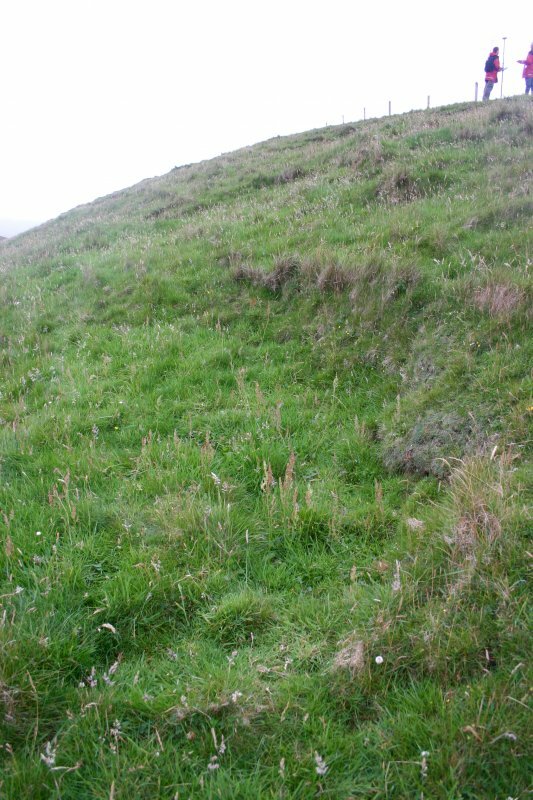 Some of these features are still visible today, though grassed over, but they were not recorded by the present survey. 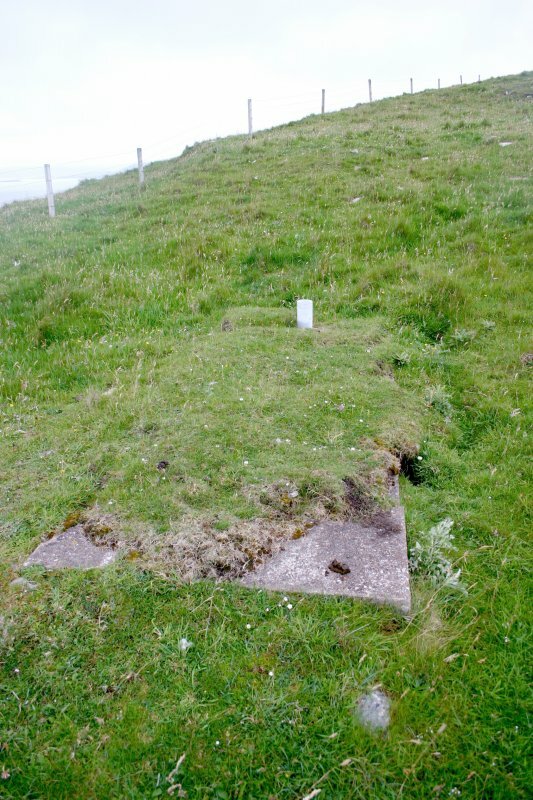 Several other features which are visible on the aerial photographs have left little or no trace on the ground; conversely, there are features visible on the ground today which are not apparent on the photographs and must, therefore, post-date the initial use of the ROTOR radar station. Visited by RCAHMS (JRS, JH, IP, AL), 4 August 2008. 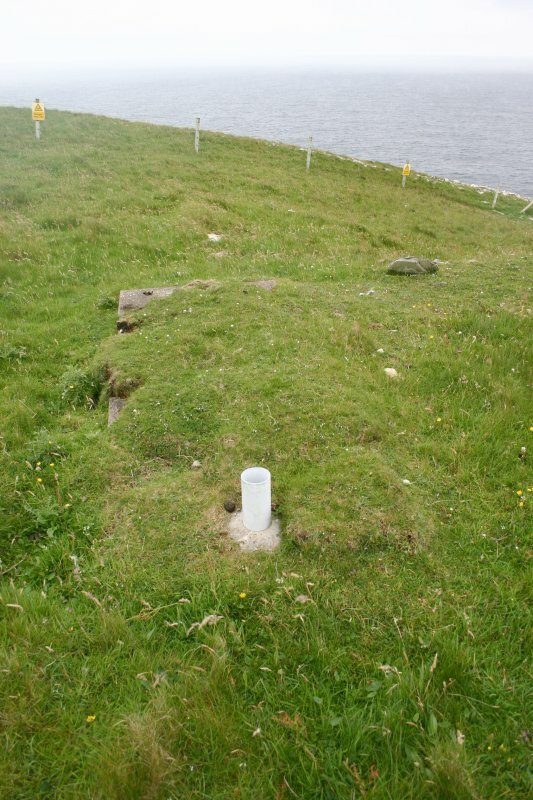 In August 2008 an archaeological and architectural survey was undertaken by RCAHMS of the Cape Wrath Training Centre (CWTC), Highland. The survey was commissioned as a partnership project by Defence Estates (Ministry of Defence) to provide a baseline survey to enhance the historic component of the Land Management Plan for the CWTC. 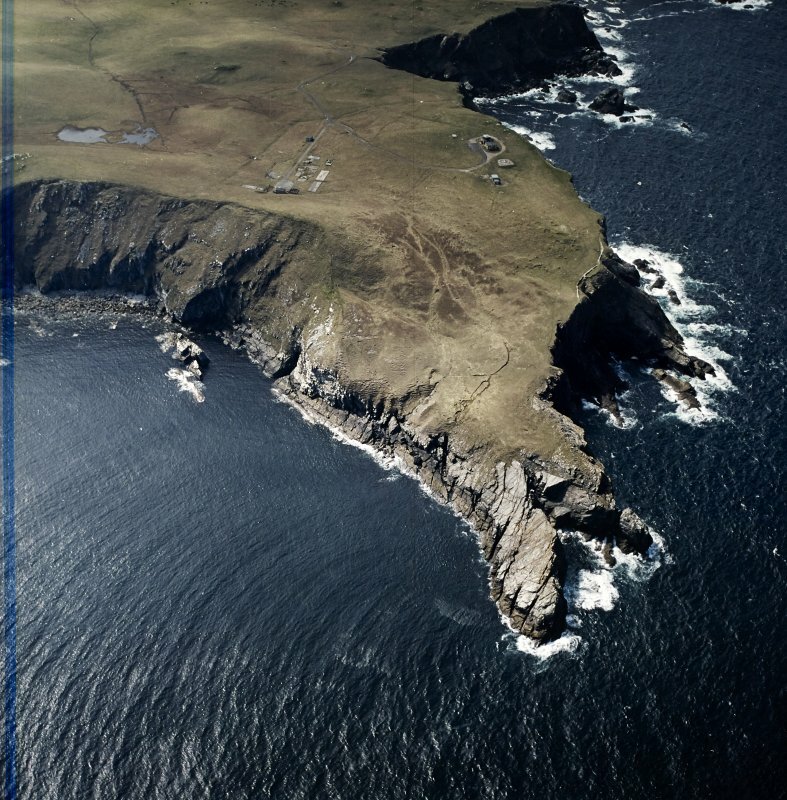 The survey set out to record all visible archaeological features and architectural structures, map them using differential Global Positioning System (dGPS), digitally photograph them, and assess and record their condition using criteria defined by Defence Estates. The survey also recorded all the redundant and current boundaries around and within the centre. Sufficient time was available towards the end of the survey to enable detailed measured drawing surveys to be undertaken of some of the more interesting monuments within the CWTC. Information from HES Survey and Recording (JRS) 18 April 2018.